Pyramid poker is a more limited version of another poker variant called Pai Gow poker. Like most versions of power, pyramid poker is played with a 52 card deck that does not include any jokers. The main difference is that pyramid poker uses 3 cards instead of the 7 cards used in Pai Gow. It also uses several communal cards that are accessible to all of the players. Hands are scored in the same way as with traditional poker, except that in pyramid poker aces are always a high card. Pyramid poker gets its name from the way in which the cards are dealt. The minimum number of players is 2 but 8 to 9 is optimal. A dealer is chosen at random from everyone playing and three “hole” cards are dealt face-down to each player. 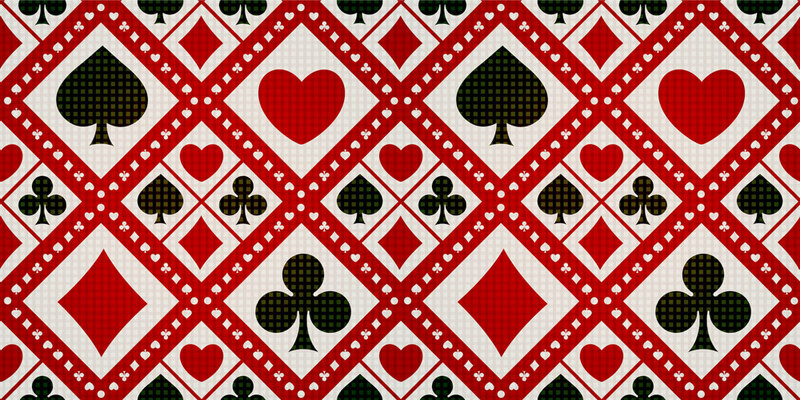 The players may look at their cards and must separate them into a 2-card hand and a 1-card hand. The 1-card hand must be the lower scoring one. After each player is finished with this, all of the antes are placed, each player receives another 4 cards face down and the dealer deals 6 cards face down into the centre in a pyramid formation. This means a row with 1 card, a row with 2 cards and then a row with 3 cards. Each player is able to use 1 card from each of these rows. After each hand, the player to the current dealer’s left becomes the dealer for the next hand. Betting begins with the player to the dealer’s left. Like with traditional poker, each player has the option to check, bet, raise, call or fold. After the initial round of betting the 2 cards from the middle row of the pyramid are turned face up along with the centre card from the bottom row. Next comes another round of betting before the card in the top row is turned face up. Then comes another round of betting before the last two cards are turned over and then the final round of betting occurs. This last round of betting is traditionally started by the player 4 places to the dealer’s left. The last stage of the game is for each player to declare their hand. All of the players turn their hole cards face up and use them in conjunction with 1 card from each row in the community pyramid. Each community card can be used multiple times by different players. After players declare their hands they are unable to change their mind. In the event that a player makes a mistake when declaring their hand, they become ineligible to win the pot. The players must form the best 5-card hand using traditional poker scoring from their 4 hole cards and 1 card from each row of the central pyramid. In some pyramid poker variations, the players must choose one of the outside rows of the pyramid to combine with their hand when scoring instead of any card from each row. The player with the strongest hand wins the pot. However, before the game is over the player must compare their 1 and 2-card hands to the dealer’s 1 and 2-card hands. In order to keep the pot, the player must defeat the dealer with both their 1 and 2-card hands. In the event of a tie, the pot is pushed to the next round. If the dealer wins, then they receive the pot instead. The dealer wins any hands that are tied giving the house in a casino or in online poker a 3.5% innate advantage. Pyramid poker strategy centres around the community cards that give the game its name. This is the source of shared information so the key is to think about which combinations of each of the rows are available. For example, if there is a card from each row that only requires a couple of outs to form a very strong hand that a player cannot beat, then it may be time for them to fold. The other thing to bear in mind as the community cards are revealed is which combinations become impossible. For example, if the middle row shows a pair of Kings then no player is able to form 4 of a kind using Kings. Eliminating hands belonging to other players in this way is going to give any player a much clearer idea of what their opponents may be holding.